Leigh Electrical offer a complete Smoke Alarm Installation Service to householders throughout Southend-on-Sea and the wider Essex area. 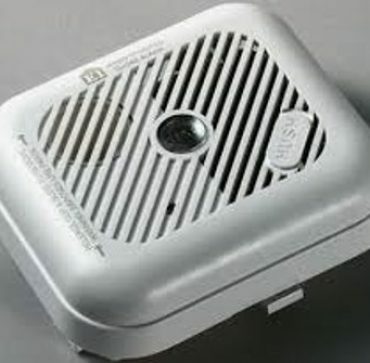 As a company, we have installed hundreds of Smoke Alarms across Essex over the past 50 years. We hold Aico Expert Installer status, ensuring that the Alarms we fit and method in which we fit them are recognised as being at the forefront of the Domestic Smoke Alarm Installation industry. For more information on having AICO Smoke alarms fitted throughout your property, please call us directly on 01702 873350 to discuss a time for us to come and give a free no obligation quote for your Smoke Alarm Installation. Our Smoke Alarm fitters operate in and around Southend-on-Sea, 7 days a week to avoid causing our customers any disruptions to their schedules. We have received numerous plaudits form previous customers on many of the Electrician comparison sites such as TrustaTrader and CheckaTrade. Please follow this link for more information on the product range offered by AICO. They are the UK’s industry leader for hard wired smoke alarm detection systems. As well as offering Smoke Alarm Installation to our customers, Leigh Electrical offer a whole host of additional Domestic Electrician Services in Southend and Essex. Leigh Electrical also hold full NICEIC Registration, which ensures all of our domestic Electrician work for a full 5 years under the NICEIC Platinum Promise. To speak to one of our team please call directly on 01702 873350 or submit a contact form below if viewing this outside of office hours.